Bamboo was having a white party! Oh god I hate this place but it was a white party – I had to go.. and to make sure I wouldn’t change my mind, they threw in free entry all night and a free drink for anyone dressed in all white!! 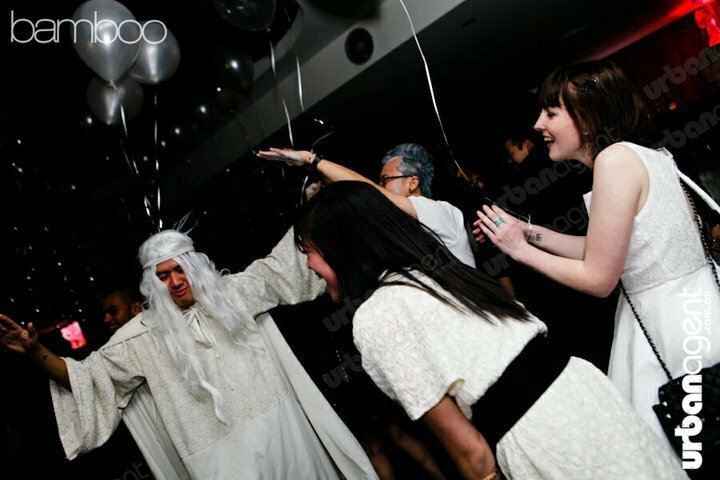 With the sad news that Sensation White was cancelled and no longer returning to Australia (the promotional ad had ironically told people “why wait for Sensation this year?”), this was a rare chance to whip out the good old Gandalf the white outfit, so I rounded up some friends and got this thing started – here we go! Dress Code / Door Policy: Casual allowed. Half the dudes are smart casual, and the other half are just.. casual. Girls are all in dresses and wearing their faces. Lots of pretty girls. and they’ve relaxed policy somewhat – they have allowed hats to be worn inside! Entry Fee / Cover Charge: Free entry all night if you wore white. Otherwise standard cover charges apply. $20 on guestlist before midnight. Free on guesetlist if you get to the counter before 10:30 (small chance), and $25 after midnight. 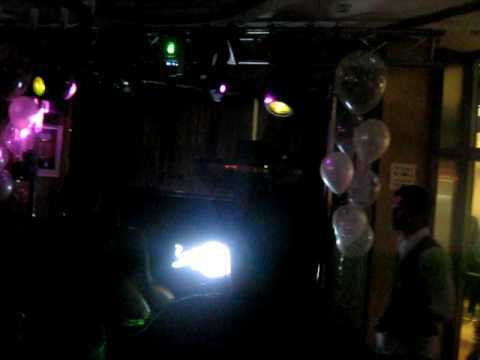 Inside: Walk into a small bar to hold about 150 or so people – DJ at the front corner. Bar on the right hand side of the venue,taking up half of the floor space. 4 podiums are dotted along the length of the dancefloor, including one with a dancing pole. Small private area at back but was really open to anyone who walked in. Outdoor smoking and BBQ area on the left of the venue. Bar: I can’t remember. 3 ABC shots for $36 ? Music: Primarily Hip Hop / RnB tonight. Top 40 and Commerical House mashup as well. DJ’s are mixing it well, keeping the crowd always active and dancing. Crowd: Dominantly Asian. I spotted 2 white girls, 3 black guys as the minorities here tonight. There were probably a few more handful of the minorities. Age wise it varied, but most people I met were in their early 20’s. It seems as all the teens have gone to Funky. Bad news in a few years time for Bamboo as they would soon have no base. Atmosphere: At its peak, the place is extremely packed, and you would be hard pressed to find some floor space to dance – you would really need to hop up on the podiums to have your own dance action. Outside of peak periods it was still pretty busy. Most of the crowd are singing along to the songs, so pretty vibrant. A friend’s birthday. She’s chosen Bamboo as the place to be. Cover Charge/Entry Fee: $25 After midnight. Atmosphere: Crowded. People dancing, just enough to reach close to capacity. It was 1:30 as we arrived and there was no line. I was expecting a line, but it wasn’t at full capacity. As we entered, it was probably at around 80-90% capacity. Still pretty busy. Jason the Korean bum dancer was pretty much on one of the podiums already doing his thing. I took a photo with the birthday girl sitting down. After the photo, she sits up and empties out the contents of her stomach onto the floor. Absolutely disgustingly hilarious stuff. Apparently her 4th chunder that night.